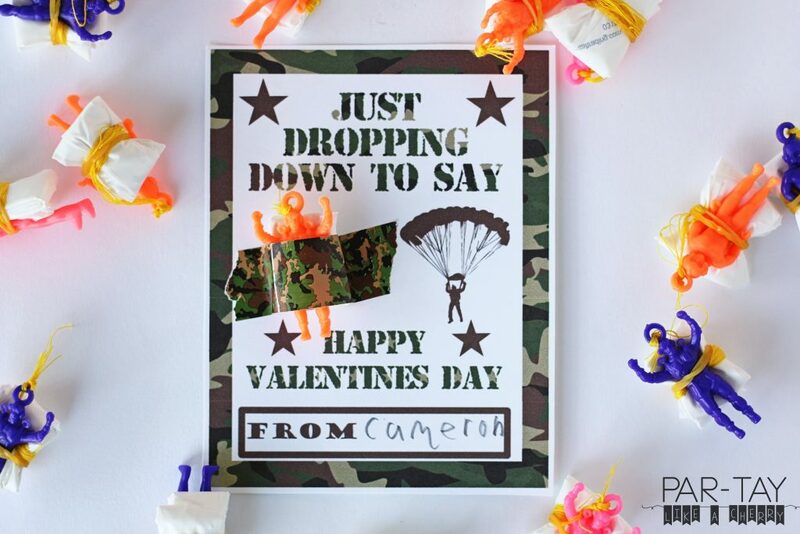 These print 4 to a page, print on cardstock, tape on a parachute man, and you are good to go. 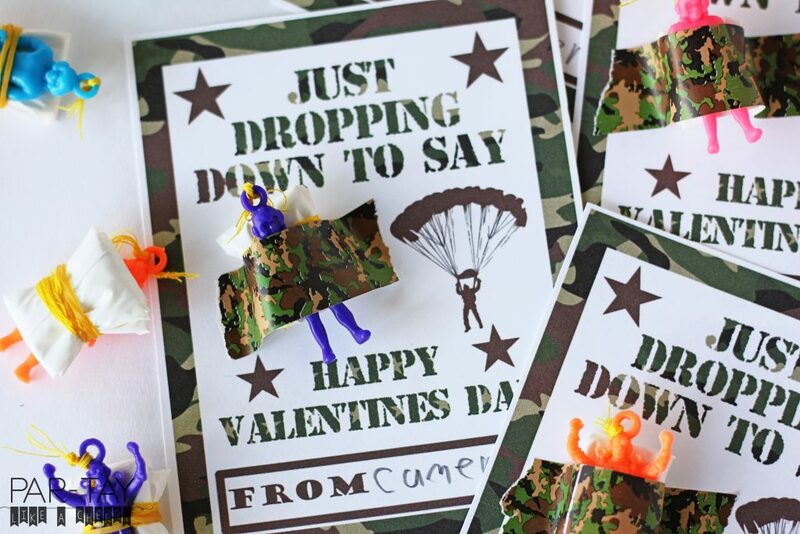 When I got the parachute men in the mail I set them on my desk in my office. Each time one of my boys came in and saw them their eyes lit up and they excitedly asked, “WHAT ARE THOSE FOR??”. What is it about parachute men? They get tangled in like .5 seconds and yet they still LOVE them. 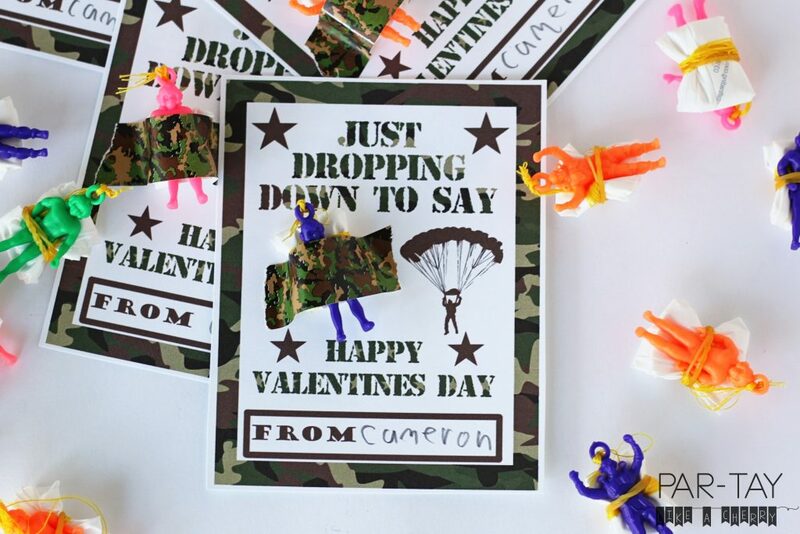 These are the parachute men I ordered, a nice big pack from Amazon since I have 3 boys handing out valentines this year. 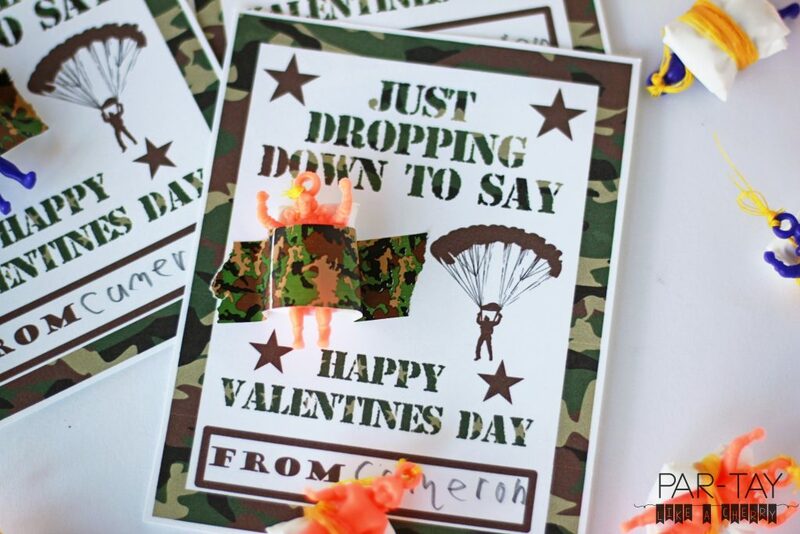 To attach the parachute dudes I ordered this tape to keep with the army theme (I used hot pink washi tape that I had on hand at first but that was vetoed, what the heck?). But yes, washi tape would work or whatever you have lying around. 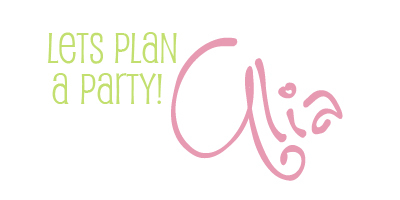 To download just follow the link below, and if you use these snap a photo and tag me! @partylikeacherry. 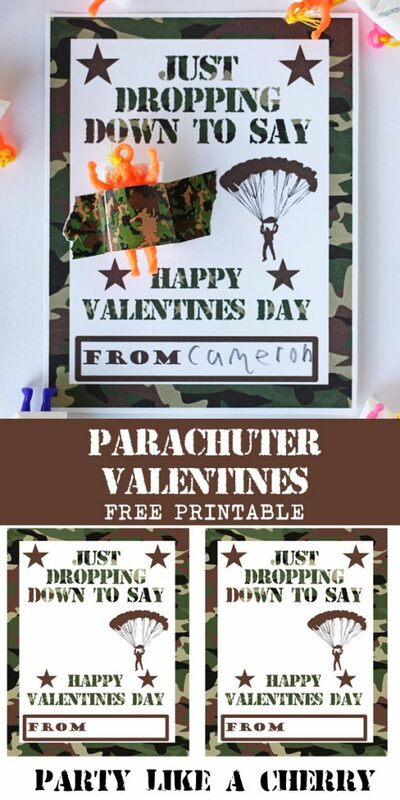 You can also check out all my other Valentine’s Ideas and Printables by visiting my Valentine’s Archive here or my Valentine’s Pinterest board here. 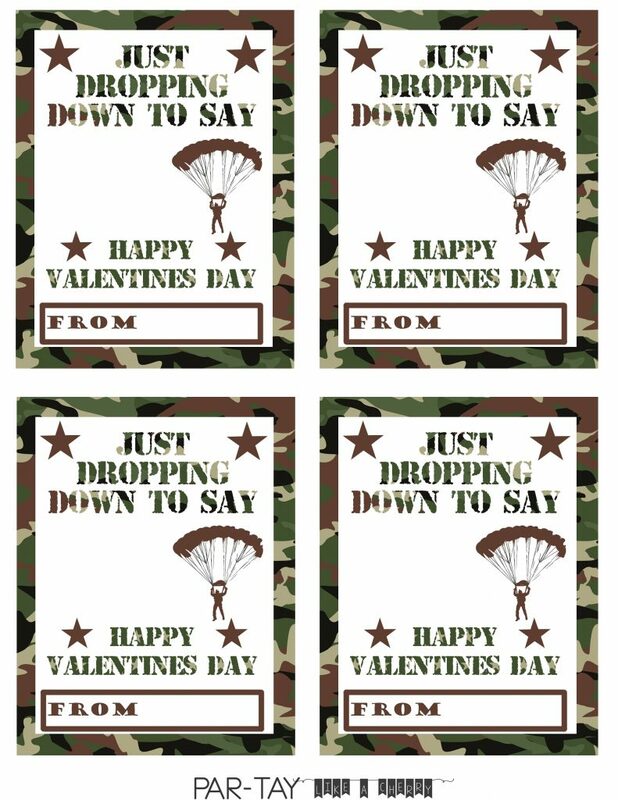 Download Valentine with button above!